Greenflow provides IoT consulting and turn-key projects to support your digital strategy. We are experts in wireless sensor solutions and connecting devices. Through data aggregation, visualization and analysis we create business value for you. 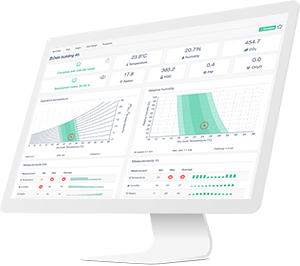 With our IoT platform Tingsense or through 3rd party solutions we will create the insight into your business that helps you to take the right decisions. We use LoRaWAN, NB-IoT, WiFi, Bluetooth, GSM or any proprietary technology to measure and aggregate your data. With sensors or through Modbus and other bus systems. We will help you to create or implement your digital strategy. We can analyze and specify your requirements for procurement processes or deliver a full solution as a system integrator. With our solutions such as Tingsense you own the data. Access it via API or request the full database. It is single tenant. We focus on security and do not want to lock you in. ...for all other IoT challenges we can use machine learning and AI to find hidden relationships and create KPIs that you can base decisions on. We implement solutions that can interface to any cloud such as AWS, Microsoft Azure or Google Cloud. Seamlessly integrate with your existing infrastructure and systems. Visualize complex relationships in simple dashboards. This example shows a smart building dashboard. Use advanced analytics to make sense of your data driven enterprise. Your KPIs, your goals, your insights. Greenflow has projects within the areas of smart buildings, smart cities, waste management, industrial IoT and many others. But our key strength is to gather any measurements you need and turn them into actionable data. Our versatile platform and graph engine allows quick custom projects. If you are a company that wants to let data work for it Greenflow AS is your partner for a fast time to value. We can provide turn-key solutions with sensors included or provide Tingsense as a SaaS solution for OEMs or system integrators. Our focus is on quickly creating value for our customers. Many different sensors and sensor technologies are already implemented. New integrations will be implemented quickly. For the more commoditized part of IoT like smart waste management, smart lightning, smart parking we work together with partner companies. Greenflow has cooperation agreements with selected providers of IoT solutions. We will always advise you to choose the most appropriate solution for your use case. 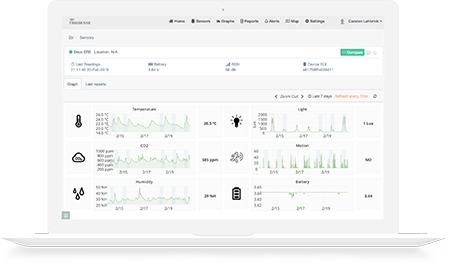 Greenflow provides its Tingsense platform with specific analysis options for smart buildings. Please ask for a demo. We can provide smart waste management, smart lightning, smart parking and water management. We can also combine this with our building analysis platform. Wireless sensor networks feed various data into our IoT platform. This works just as well for industry 4.0 as for environmental protection. Security is a key success criteria for IoT. With our partner Device Authority and our embedded Linux automation and security software devctrl.io we keep your projects safe.